Happy first official day of fall! Although fall doesn't really arrive until 10:29 pm tonight, I did a fall mani and pedi yesterday to kick off the start of my favorite season. I am in LOVE with my current mani, Lynnderella ChelSea of Love over Zoya Remy. Hubba, hubba, ChelSea of Love is STUNNING. Lynnderella describes it as a "holographic teal microglitter with small tonal accents in a teal base". It is more teal than it looks here because I used a more blue-leaning base. I need to find a good blackened teal in my stash to try it with next time. 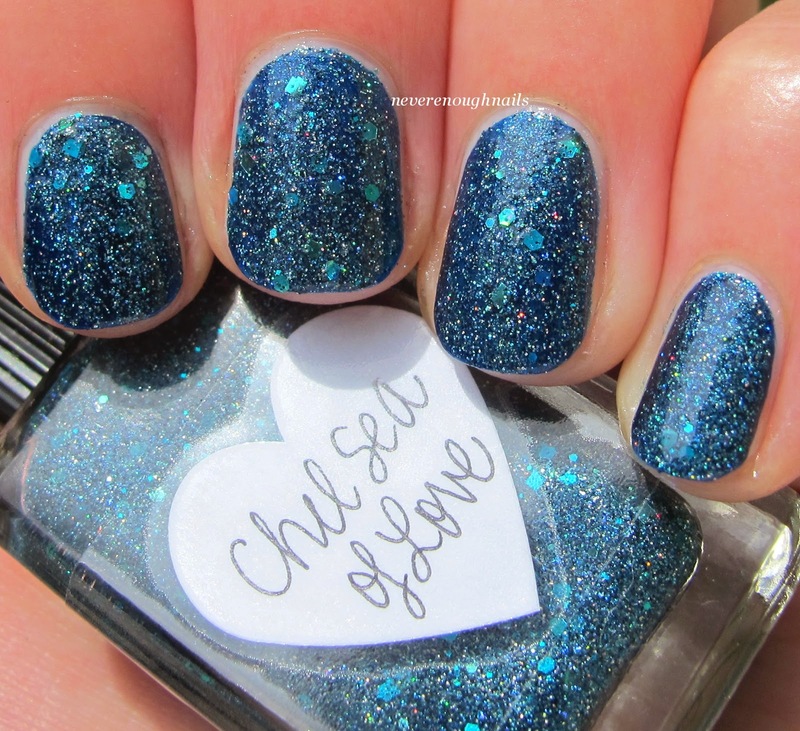 But no matter what base you use (or if you wear this on it's own), ChelSea of Love is a really gorgeous holo glitter paradise. The teal microglitter is super sparkly and I love the addition of the larger teal hexes and squares. I took the blurry picture below to show you the holo-ness. So pretty and sparkly! This is just one coat of ChelSea over one coat of Zoya Remy. Such a nice easy mani, both are very pigmented and beautiful to apply. ChelSea is dense enough to wear alone in just two coats. 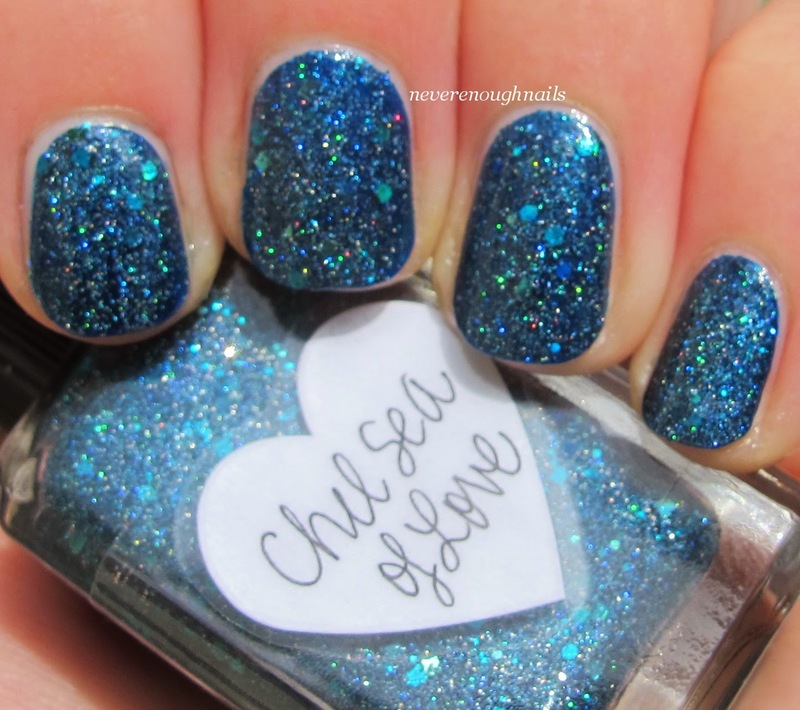 I'm going to do another post where I show you just ChelSea with no base, but once I put this combination on my nails, there was NO way I was removing it. I immediately made it my first fall mani of the season. 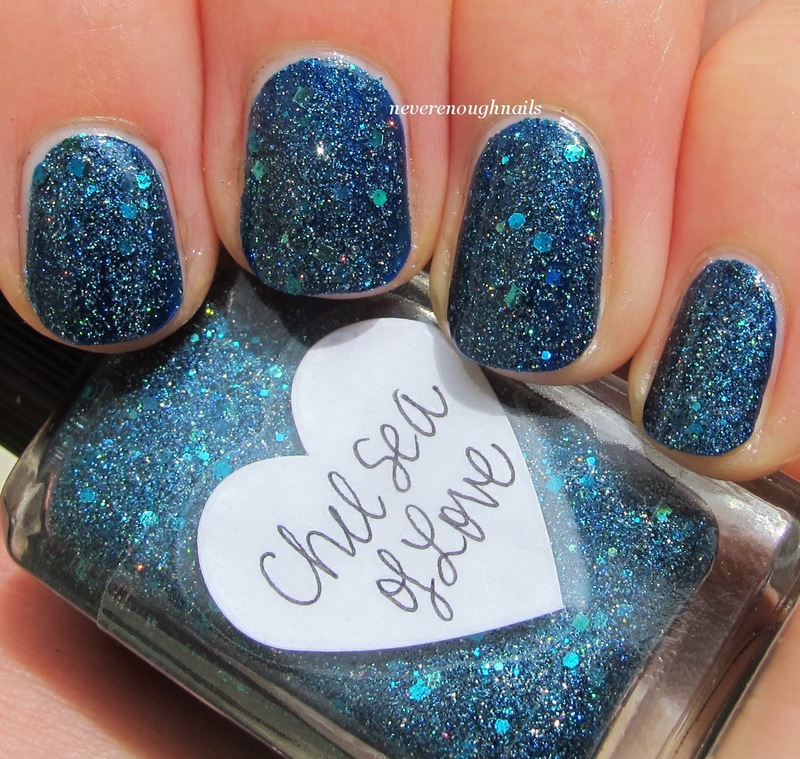 Happily, Lynnderella ChelSea of Love is from the new fall core collection, Fall in Love with New York. That means it is readily available and easy to get for a buy it now price of $21 with free shipping. Lynnderella ChelSea of Love is available now at lynnderella.com and the Lynnderella StorEnvy. For more information about Lynnderella collections, check out Lynn's blog.